The year 1958 marked the beginning of a transformation in the Indian steel industry, with the founding of Shah Brothers. Having a grass root experience of the industry, the founders, in their role as brokers & suppliers, identified the gap and virtual non-availability of Boiler Quality Plates in India. Foreseeing the future of one of the world’s largest populated democracies, Shah Brothers (as it was then called) pioneered the import of Boiler Quality (Pressure Vessel Quality) Plates into India in the year 1965. Being a first mover in the field, and given the absence of local production, SBIPL achieved a leadership position in imports and stock holding of Boiler Quality plates immediately. The company proudly retains this position five decades later. As the country was not producing requisite qualities of steel, and was neither self sufficient in quantity, SBIPL became the largest importer of Boiler Quality plates from mills in Romania, Russia & China. As the country progressed and local mills commenced offering world class products, SBIPL by default, became a preferred partner for all plate producers in India. Having a legacy of quality & quantity, backed by a customer base pan India, SBIPL became the preferred partner for Jindal Iron & Steel (JSPL), Essar Steel, Steel Authority of India Ltd. (SAIL), while maintaining opportunistic buying relations with international leaders such as Alchevsk Iron & Steel/Ukraine, Wuyang Iron & Steel/China, NLMK/Belgium and more. • Large inventories of Pressure Vessel Steel Plates, High Strength Steel Plates, Alloy Steel Plates, Mild Steel Plates & HR Coils. • First and probably yet the only steel trading company to be accredited ISO 9001:2008 by Lloyds Register Quality Assurance in India. • Stock-Yard facility spread over 30,000 sq.mtrs. with Goliaths, mobile and Overhead Cranes with Load Capacity of 35 MT. 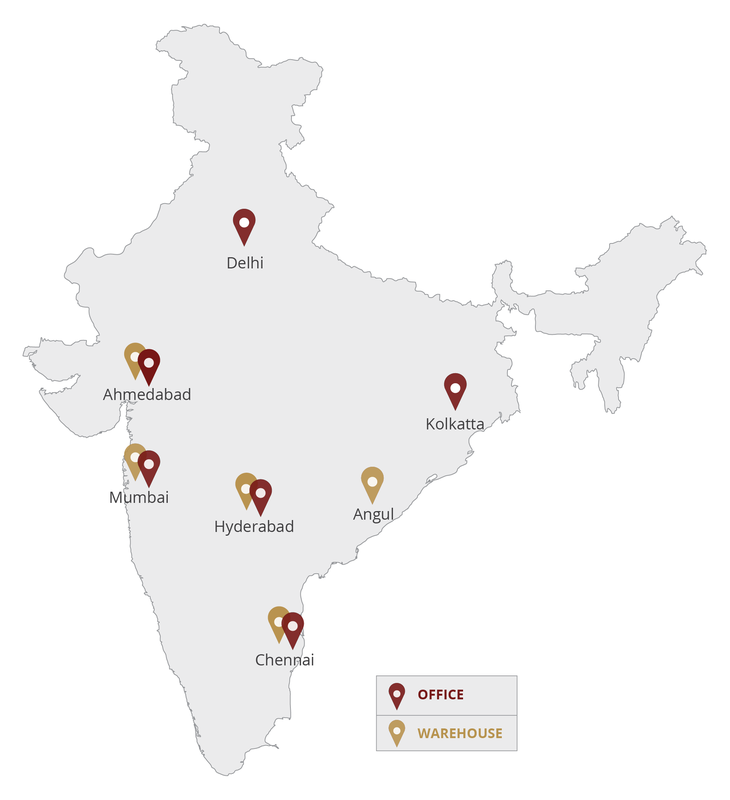 • Only Steel Trading Company in India to have a private Custom Bonded Warehouse facility. © 2008 – 2009 Shah Brothers Ispat Pvt. Ltd.